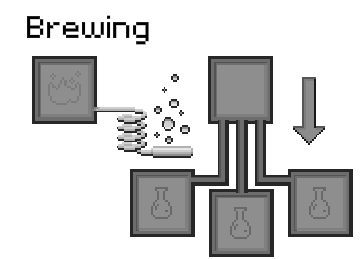 The brewing stand is a item added in version 1.28. It is used for brewing potions. The brewing stand can be broken with anything, but using a pickaxe speeds up the process. 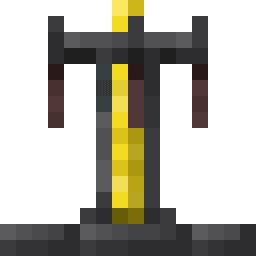 To craft a brewing stand you need to put three cobblestone on the bottom of the crafting table and then a blaze rod on top of it. The brewing stand interface can be opened by shift-clicking. As it can be seen, in order to brew something the brewing stand needs a base potion, an ingredient and blaze powder as energy source. When it is holding potions, it will change its texture to show the red bottles. The interface of the brewing stand. How brewing stands change when they have potions inside. This page was last edited on 4 March 2018, at 19:27.